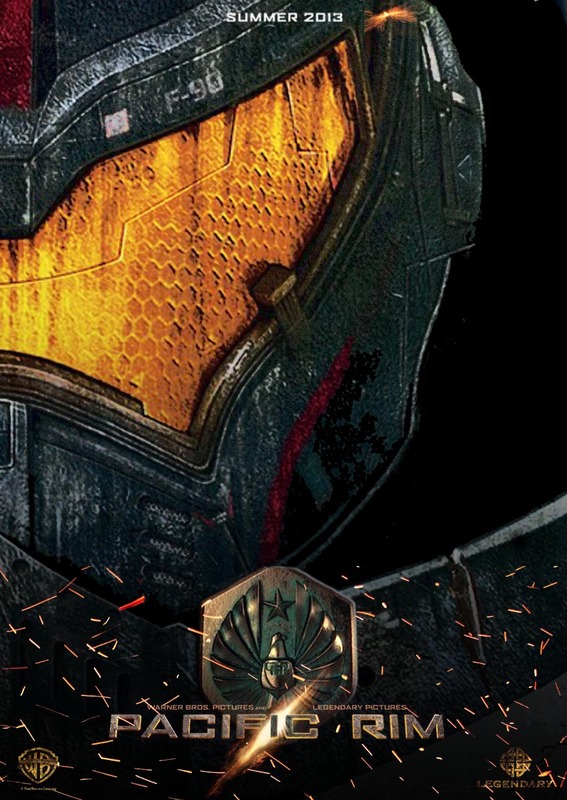 When you talk about big action movies, few come bigger than Pacific Rim – a film that pits humans in giant mechas versus even bigger monsters from another realm. It’s a genre that has been alive and well in Japan for decades, but one that hasn’t been picked up by mainstream audiences in America yet. Sure, children’s shows like Power Rangers have shown it has popularity, but it still hasn’t made its mark on cinema. Enter Guillermo Del Toro, the man who brought you films like Blade 2, Hellboy and Pan’s Labyrinth. The success of his previous films gives him the clout to helm a large budget action flick, and he’s decided to try and bring the Kaiju genre to worldwide audiences. The result is an over-the-top action film that, while light on story and character, is still a joy to watch. In the near future, Earth faces an alien threat that comes not from the stars, but deep beneath the ocean. Erupting from a portal, these monsters named Kaiju (Japanese for ‘Strange Beast’) wreck havoc on cities around the globe. Cities are leveled before anyone is able to take down the first monster. Soon after, another arrives, and humanity must band together to take down the invaders. The world pools its resources into the Jaeger program, a program that builds giant mechs built to withstand the assaults of the Kaiju. The Jaegers require two pilots to share the load through a neural bridge. Pilots who are drift compatible and show aptitude for fighting are given Jaegers to fight the oncoming threat. The threat of the Kaiju continues to grow as they adapt to take down Jaegers, leading world leaders to abandon the project in favor of a wall to protect populated areas. When this plan ultimately fails, it is left to the last of the Jaeger pilots to devise a plan that could end the threat once and for all. The film primarily follows failed Jaeger pilot Raleigh Becket (Charlie Hunman), who suffered the loss of his brother while controlling ‘Gipsy Danger’. Due to the neural connection while piloting, Becket experienced the pain his brother felt upon his death as if it were his own. He successfully finishes off the Kaiju and brings the Jaeger back to land, but quits the program due to the emotional scars. When humanity’s hope is dwindling Becket is brought back by his former commander. He must work through his issues, find a new partner, and help the salvation of humanity. While Pacific Rim is not a thoughtful film, with its deepest moments appearing clichéd and overwrought, it isn’t something the film strives to be. It’s a “check your head at the door, get ready for a big suspension of disbelief, and get ready for some head pounding action” type of film. Despite being straightforward in its plot, it never comes across as outright stupid. Del Toro and writer Travis Beacham commit fully to their vision, and never once try to work around the silliness of the premise. Some people may find the dialogue ridiculous, but it fits in with the thematic elements of the rest of the film. Despite the film being post-converted to 3D, it contains possibly the best 3D visuals in a non-animated film to date. It competes with Avatar on its use of depth in the 3D to enhance the action set pieces. It’s dark tone is highlighted with neon tones that visually recall movies like Blade Runner. Each action piece is deliberate in its execution, allowing for breathtaking fights between enemies the size of skyscrapers. It makes the visuals of films like Transformers and Man of Steel feel like the machinations of a child with ADHD. Erratic action sequences have become commonplace over the past decade in Hollywood. Shaky cam dominates many action films, but the wide angles and crystal clear framing of action make Pacific Rim a joy to watch. It might be a perfect action film, but it still contains many of the pitfalls of big budget summer movies. Characterization is light. Neither of the main characters are very memorable, and are instead upstaged by supporting actors Idris Elba and Charlie Day. Elba is imposing as Marshall Stacker Pentacost, the leader of the resistance against the Kaiju. The actor is a commanding figure who embodies his role more easily than anyone else in the film. Charlie Day adds a bit of comic relief as a genius Kaiju expert who may hold the key to beating them. Day’s delivery and tone is very similar to his other projects, but adds a first for one of his major characters: intelligence. He easily slips into the role, and becomes the comic fodder. Charlie Hunnam despite being the main character is easily forgettable, as is his co-star and love interest, Rinko Kikuchi. Neither are given much to do other than spout cheesy dialogue at each other, but the characters work the same as many popular characters in fiction these days. They are mere placeholders to allow the audiences to inhabit the roles on screen. Not much different than characters like Bella Swan or Katniss Everdeen, they are virtuous but empty. It is not the complete fault of the actors, as the script doesn’t give them much to do, but it’s hard not to wonder what a more charismatic leading man might have done with the role. Pacific Rim is easily the best action film of the summer, and worth every penny to see in a top of the line 3D theater. It isn’t something you’ll talk about at tea time, but it is a visceral experience that will make you “ooh” and “aah”. If you are willing to leave snobbery at the door, you’ll have a great time with the film.